The state of "Goa" have their map..Now, "Uttar Pradesh".. 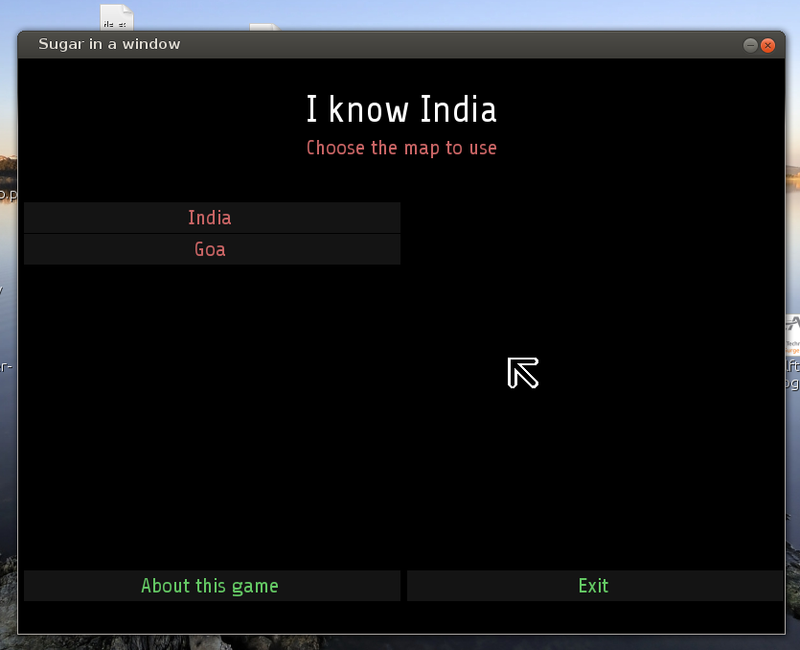 The "I know.." code allow some maps in the same activity.The better option: add to "I know India" the map of "Uttar Pradesh".When activity starts, you can select the map and play with it. We are getting ready to work on the "I know ..." activity and build I know Uttar Pradesh. The other incarnations of this activity are "I know India" and "I Know America". If you are interested in working on the "Uttar Pradesh" activity or do a new state, write back to the list and let us know.